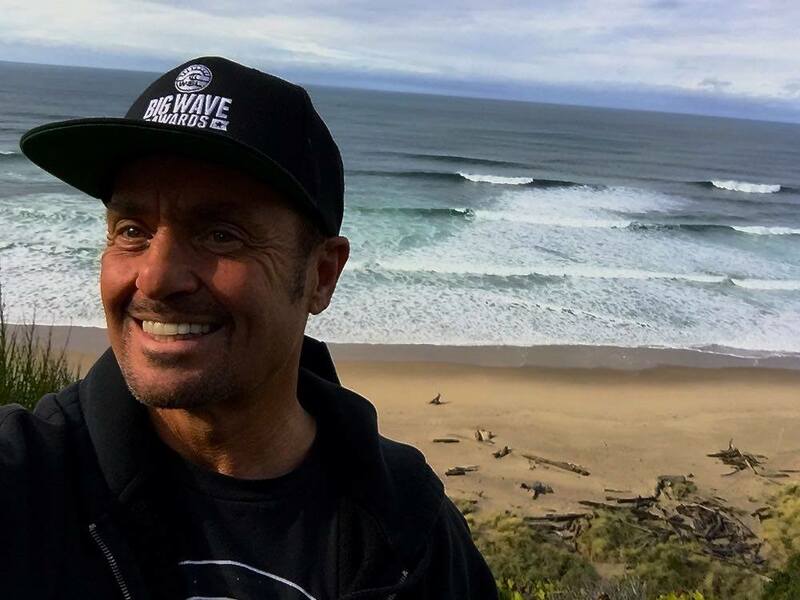 Today at 58, Eric Akiskalian has become one of the most respected big wave tow-in surfers, promoters, ocean safety and international logistics specialists in the industry. Eric grew up surfing in Santa Barbara, CA and has been a local fixture at Rincon Point ‘The Queen of The Coast’ since 1975. Eric also continues to push his personal limits and goals of chasing big swells around the world, all while promoting the sport he loves. Eric currently owns and manages Towsurfer.com which is a website he founded in 1998 to promote the sport of big wave surfing, the athletes, contests, news, interviews and swell forecasts. There is also an online store offering safety components to outfit all PWC’s and a wide range of tow-in equipment. Eric is now offering a list of professional services from PWC training, ocean safety/education, water safety, tow-in training, travel surf guide, commentary to international logistics for television/film/event/sports productions. Eric’s training program emphasizes extensive physical and mental training, healthy diet, drug, and alcohol-free lifestyle, along with maintaining constant respect for the ocean and making safety the number one priority. His expertise and level of safety knowledge comes from his years of surfing and training in locations like Mavericks, CA – Jaws, HI – Teahupo’o, Tahiti – Shark Park, CA – Cortes Banks, CA – Todos Santos, Mexico – Puerto Escondido, Mexico – Nelscott Reef and South Reef, OR – Puente De Lobos, Chile – Ghost Trees, CA – Outer Reefs, North Shore, HI – Cloudbreak Fiji, – Nazare, Portugal and other global locations. Sales, marketing, advertising, business management, sponsorship acquisitions, social media marketing, water safety, international logistics coordinator, commentary, and host. Executive Producer/Director/Talent – Documenting big-wave surf adventures in the Pacific Northwest. Online sales, services, advertising, website content, ocean education, water safety, event promotions and social media marketing. A. This Corporation was a non-profit mutual benefit corporation organized under the Non-Profit Mutual Benefit Corporation Law. The purpose of this corporation was to engage in any lawful act or activity for which a corporation may be organized under such law. B. The specific purpose of this corporation was to promote and encourage the responsible growth and development of professional tow-in surfing; to encourage safety, in connection therewith; to develop and to sanction events, including championships; and to improve business conditions in connection with the foregoing; all for the benefit of professional competitor members, and other members of the Corporation, and promoters and sponsors of sanctioned tow-in surfing events. B. The specific purpose of this corporation was to offer support and encourage youths and young adults who were dealing with drug and alcohol issues. WYR offered support groups, supported local fundraising efforts for like-minded organizations and created a speakers bureau with recovery addicts and alcoholics. The speaker’s bureau spent eight years speaking to kids throughout the local school system and colleges. Eric, later on, went to speak to schools throughout the country while sharing his positive and inspiring message and story on being dry free.